Cleaning grout is incomplete without grout sealer. It is only a good quality grout sealer that differentiates between dirty grout lines and clean floors. The best grout sealer creates a layer of protection between dirt and grout that last for many years. This review is about some best grout sealers, the details about appropriate method of applying sealer and the importance of sealing the grout. DAP Kwik is best penetrating sealer for those who don’t have enough time for large scale projects and need a quick repair. For maximum protection use it along with Tilex Grout Pen. It sinks deep down the grout to seal the tiny pores to prevent stains and mildew and give a charm to the bathroom and kitchen. It is easy to apply. 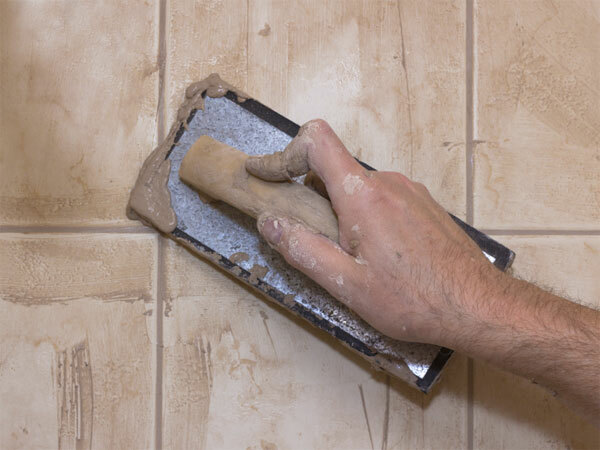 Right after cleaning your grout, apply a slight layer of it and leave it for one day so that it gets hard. Don’t get it damp during this or you have to do it again. DAP Kwik is usually compared with Tile Guard Grout Cleaner. 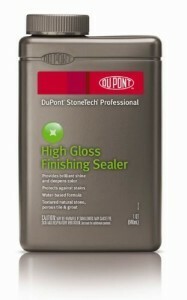 However DAP is slightly better because this is the penetrating type of sealer and it doesn’t need too much work. We talked with both professional grout sealers and end users who do these themselves. 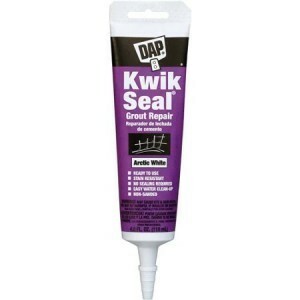 One of the most common positive feedback we get is DAP Kwik is the quickest sealer that works like the heavy sealer. On the other hand the most common negative side about this sealer was that it need a whole day wait. This is also the best penetrating sealer that last for long. It is slightly expensive but if applied properly it can really last for 15 or more years. We took feedback from long time users and professionals and they answered that its quality is consistent for every batch. It dries up fast, only 4 hours or less to dry completely. It can be applied on all type of tiles like marble, granite, limestone and other stones. 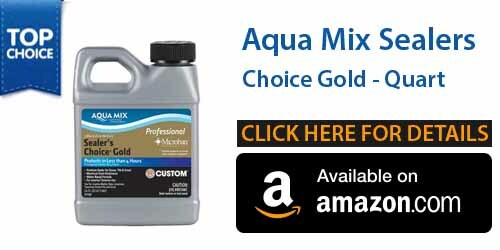 There are 4 products in AquaMix product line; Sealer Choice Gold, Penetrating Sealer, Ultra-Solv as well as Pro-Solv. Long Lasting Sealer that last for 15 years. Stonetech is one of the best coating grout sealers that provides a fine glossy look to grout lines. In contrast to a penetrating sealer, it will settle over your grout lines rather than filling up pores of grout. It last only few years but it is easier to apply and cheaper. It helps you to improve the pigment of the grout lines and for that you will need to apply coating sealer frequently. However many people also like the matte look. StoneTech Sealer is on the top among all other topical sealers. TileLab Gloss Sealer comes the close second. Stone Tech is cheap as well as easy to use. It is very gentle to the tiles and can be used on extremely absorbent stones such as terracotta or slate. To use it apply it and wait for few minutes. Then wipe off the access from the tiles and it is done. 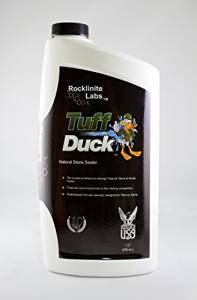 If you are looking for the perfect grout sealer, then you can take a look at this outstanding grout sealer called, Tuff Duck Granite, grout and marble sealer 1 quart stone tile. There are many advantages of using this Tuff duck granite, grout and marble sealer 1 quart stone tile. This product will offer effective and maximum protecting for several surfaces such as granite, grout, limestone, marble, slate and concrete etc. 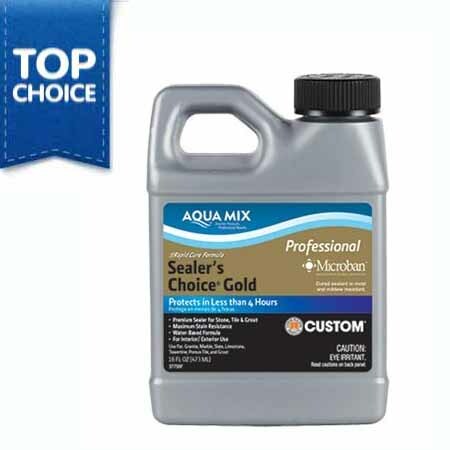 This penetrating sealer will not affect any of the natural appearance of the floor. There are also twice the active ingredients available in this multipurpose sealer such as stone tech that ensures that the stone hard floor you are using this sealer is provided with the maximum and effective proper protection from only a single coat application of this product. For the interior surfaces, this product is effectively able to protect the surface for up to 5 years, while for the exterior surface; it can protect the surface for 3 years. The formula of the sealer is non acidic and it effectively provides with an effective coverage of 200 square feet. Also it will provide with protection from oil stain and also water based stains. Strong smell. Need proper ventilation after application. Took little effort to wipe off. As per instructions, do not allow it to dry on surface as it will leave residue. 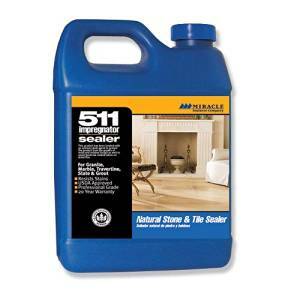 If you still haven’t found the perfect sealer for your hard floor, then you should definitely take a look at the Miracle sealants 5 11 QT SG 5 11 Impregnator penetrating sealer quart. This sealer has a lot of advantages when used. This sealer can be used for both the exterior and the interior surfaces. Weather changes can affect the floor and if you use this sealer, then you can be assured that your floor will not be damaged because this comes with weather resistance, so your floor will be protected for a longer period of time. You can also use this product on the areas where food is kept as this sealer is not toxic and will not cause any harm. Also this is UV transparent and per gallon will provide an effective coverage of 1000- 4000 sq feet. Also if you decide to use this sealer, you don’t need to worry about the natural look of the floor as this sealer will not alter the overall natural look of your floor. Also this sealer is resistant to moisture. Suitable for both exterior and interior. Transparent and do not alter the natural look of stone. Newbies may find it hard to work with this sealant. It will take some time and effort to wipe off. What should you consider when purchasing the grout sealer? You should know the small specifics of your floor for which you are going to use the grout sealer. You should check what the specific grout sealer offers, such as weather resistance, not change the natural colour of the floor etc. Check how much the grout sealer will cover. Otherwise you may find that the grout sealer may not cover the entire area. Check how long the grout sealer will provide the protection for. After the specific time, the grout sealer may cease to protect the hard floor and after which you will need to apply another layer or coating to the floor.